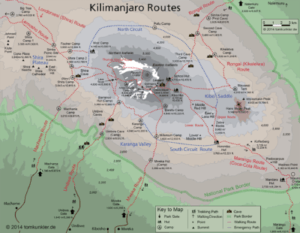 Mount Kilimanjaro National Park – “the rooftop of Africa” is calling! At 5896 m, Mount Kilimanjaro stands proud as Africa’s highest mountain and one of the continent’s most enticing attractions. 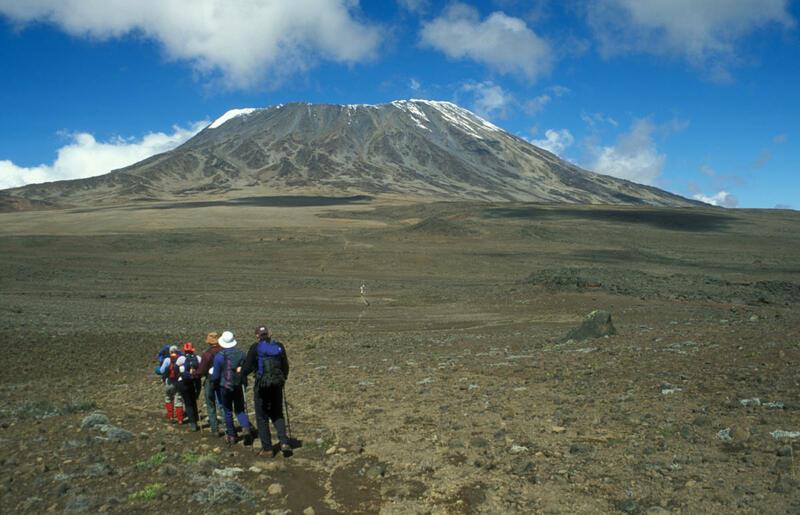 The tallest free-standing mountain in the world, it rises dramatically from the plains and coastal scrubland of northern Tanzania, its snowy peak and glassy glaciers piercing the clouds. The park is a protected area, aiming to minimize the impact of human interaction on the environment and wildlife. The challenge of the climb may be enough to draw you in, but the rewards are abundant. The majesty of the mountain, and the awe-inspiring views of Amboseli National Park in Kenya, the Rift Valley, and the Masaai Steppe are hard to compete with. Part of the attraction of Kilimanjaro is that, with the right preparation and pacing, the peak is within reach for most enthusiastic adventurers, whatever your level of skill or experience. The terrain and ecosystems evolve around you as you climb, with farmland quickly giving way to dense forests. It is here that you might get a glimpse of an elusive elephant, leopard, buffalo, or even the endangered Abbot’s duiker, as well as other small antelope and primates. Leaving the forests behind, you’ll find yourself in almost ethereal alpine meadows, cloaked in thick heather and giant lobelias. As you approach the peak, in the ever-thinning air, the last signs of life are left behind and only rocks and ice dominate the harsh landscape. Here, on the rooftop of Africa, is where memories are made, earned and treasured. For clients who are preparing for the trek up Mount Kilimanjaro, or just an exploration of the wildlife-rich Kilimanjaro National Park, this is a convenient and characterful camp. The Hemingway-style tents make for a unique camping experience that takes you to the heart of the African wilderness. We recommend Shu’mata Camp to clients who are looking for a more rugged and authentic yet luxurious experience. It’s not camping as you know it! Each of the five tents is fully self-contained and comes with a bath and private verandah, and you can still enjoy the luxury of elegant gourmet dining with panoramic views.